Lexie Smithfield, a nursing student in Long Island, longs to ease the suffering of her country’s soldiers in this second World War. Four men on a train catch her attention when they seem to be going everywhere she’s going. Are they following her? Later she sees them again near Bellevue Hospital where she takes her training. One of them, Cal, becomes very friendly. Russell Thompson, Lexie’s fiancé, works at a hotel near the hospital so he can be close to her. Four men check into the hotel but Russell is too busy to pay much notice. If not for his foot injury, he’d be serving his country as a soldier across the sea. As part of her training, some of Lexie’s patients are soldiers. She’s doing more for their country’s cause than he is able to do. Then Russell receives the opportunity to join an army USO group that will take him far from Lexie when she needs him most. Likeable characters in an intriguing and dangerous situation grabbed my attention early in this novel. Tension builds as the reader recognizes the danger before the characters do. The book was also an eye opener for the danger U.S. citizens at home were in during the war. I read the first novel by this author and enjoyed spending time with the same characters again. This novella is set at Fort McCrea, along the Upper Mississippi River in 1792. Abi McCrea longs to leave her father’s fur post for her sister’s Montreal home, located in the wilderness within stockade walls, but he will not allow it. Henry Kingsley works for Abi’s uncle in Montreal. He travels a long way to deliver a letter to Abi’s father. The news of an inheritance may take her father from his family. What will become of Abi and her Chippewa mother? The author did a great job showing the prejudice that some felt for the Native Americans in the new country of the United States. I enjoyed the story. A good read! I will look for more books by this author. This novella is set in 1781. It starts in Charlotte Town, North Carolina, and moves to the wilderness. The surrender of Cornwallis at Yorktown was supposed to have ended everything. Jedidiah Wheeler, who had fought with the Continental Regulars in a war for independence, hates that loyalists still ravage the Carolinas. He accepts a dangerous mission to try to stop them. 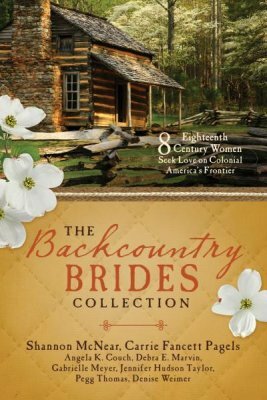 Lizzy Cunningham lives in the South Carolina backcountry, keeping house for her ungrateful and abusive father and brothers. She stays busy from morning to night working at their tavern. When a stranger comes to the tavern one cold evening, Lizzy can’t trust the kindness in his eyes or his respectful manner. Experience has taught her that no man can be trusted. As danger escalates, she finds herself hoping that Jed is the man he seems to be. 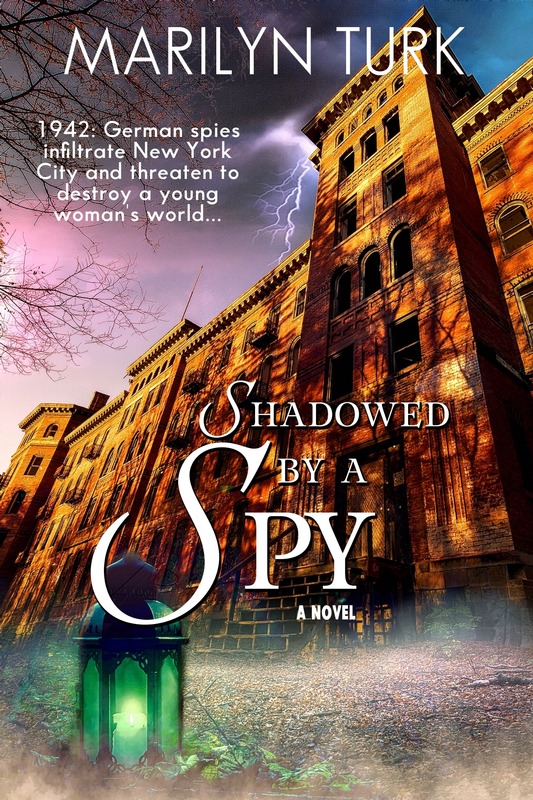 Believable characters in harsh circumstances make this book a page turner. I also loved learning the history after the Revolutionary War ended. This novella is set in Wilkes County, Georgia, beginning in 1778. Jenny White protects her mother and sisters from Creek warriors while her father fights in the war for independence with the British. Since the local tribes have sided with Great Britain, they are her enemy. Caylan McIntosh, a Scotsman scout, comes to fetch her father back to the militia after Savannah falls. The muscular man towers over Jenny as few men do. He captivates not only Jenny’s attention but also Hester’s—her beautiful, younger sister. The war of the revolution spreads to the Georgia wilderness, demanding all of Jenny’s courage and love. The author drew me into the action from the beginning where Jenny’s bravery and protectiveness toward her family are immediately evident. Lovable, heroic characters are stretched to their limits, touching readers with the tragedy of a country at war. A page turner! I will look for more books by this author. This novella is set at Fort Niagara in 1764. Lieutenant Archibald Waters worries about the large party that Sir William Johnson is bringing to the fort. Hundreds of guests accompany Johnson, who is on a mission to negotiate treaties with all the local Native American tribes. Arch’s job is to keep everyone safe. The party includes Susannah Kimball, along with her father and brother. But where are the other women? Arch’s job is given the special task of guarding the Kimball family. Keeping the lovely Susannah safe in a fort filled with lonely men will be challenging. The setting drew me into an area of the country that I’ve visited. The struggles of Susannah’s brother snagged my interest as well as the romance. I’m enjoying this whole collection. Set in 1763, this story takes place near Fort Michilimackinac, which was close to the shoreline where Lake Huron and Lake Michigan meet. Laurette Pettigrew’s father owns the trading post in the settlement outside the fort. He sends her to stay in their cabin to keep her safe from the British soldiers inside the fort. It’s lonely in the wilderness with just her dog. The crossing on the ship had made Henry Bedlow seasick. Now winter fever kept the British soldier in bed until the army doctor sends him into the dangerous forest outside the fort for daily walks. The author drew me right into the story with the beautiful setting, interesting characters, and the sense of danger building in the story. I’m looking forward to reading more books by this author. This novella is set in the North Carolina Colony in 1757. The Nantahala is in the backwoods mountains next to the Cherokee. Joseph Gregory runs a sawmill and wants to expand. With the recent death of Nantahala Lumber Mill’s owner, buying the mill is perfect for him. While grieving the death of her brother, Mabel Walker feels the best way to honor his memory is to retain ownership the mill he built and run it. If she marries, the prosperous business becomes the property of her new husband. It’s difficult to know who to trust. Joseph travels to Nantahala to make a generous offer for her business. I loved the setting of this story. The author’s descriptions made me long to see it. I understood Mabel’s reluctance to sell. Likeable characters in a beautiful setting captured my interest. This novel captured my interest immediately. The Prologue opens with Magdalene Sehler working for silversmith Jacob Owens. Magda is a silversmith in 1753. They have a great friendship yet she longs for more. 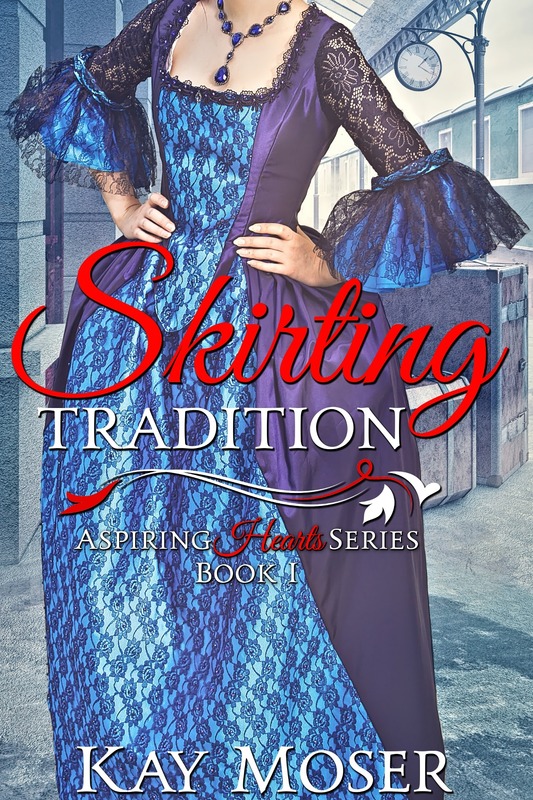 She waits in vain for him to propose as her family plans a move from Philadelphia to Shenandoah Valley. Jacob loves Magda and longs to marry her. According to her younger brother, Magda does not care for him. He silently watches as she moves to Virginia yet soon lives in a settlement near her. Native Americans in the area are upset with some of the pioneers. Magda learns that the wilderness is a dangerous place to live. The characters in this novella faced both internal and external struggles. As a history lover, the setting kept me turning pages as much as the story. Sixteen-year-old Sarah Novak dreams of becoming a teacher yet that seems impossible. Her pa sends her to town to work because the family and farm needs her pay. He searches for a man for her to marry and figures one of the sons on the adjoining property is a good fit. A chance meeting with Mrs. Victoria Hodges, an artist and newcomer to Riverford, begins to turn things around for Sarah though not without turmoil for both ladies. Sarah doesn’t want to admit that Lee Logan, a banker from Fort Worth, has caught her eye because marriage is not in her future. She plans to teach. I found myself pulling for both Sarah and Victoria through the numerous obstacles that threaten to thwart their goal of winning a scholarship to college. This first book in the series is not really a romance. The story is told from two perspectives—Sarah and Victoria—and exposes readers to the difficulties that strong women faced in pursuing careers in the late 19th century. Characters deal with heartaches and struggles in an honest way. I enjoyed reading this historical romance! 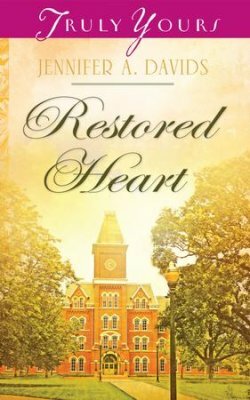 The main story is set on The Ohio State University in 1884. Anne Kirby has a broken heart. Her terrible secret has already scared off one man. She realizes that she will never be able to marry. Peter McCord’s head reels at the news—his grandfather did not leave the family’s thriving business to him. Forced to flee, Peter ends up taking a job on a college campus. Anne arranges to live with her uncle, a professor at The Ohio State University while she works at the school’s library. Yet her reasons for moving to Columbus have something to do with the secret she keeps locked inside. She can’t afford to fall in love with Peter. There are several layers to this story. Likable characters and the exact details of Anne’s secret that remain a mystery until late in the story held my interest. Fans and alumni of The Ohio State University should enjoy this nostalgic historical setting.